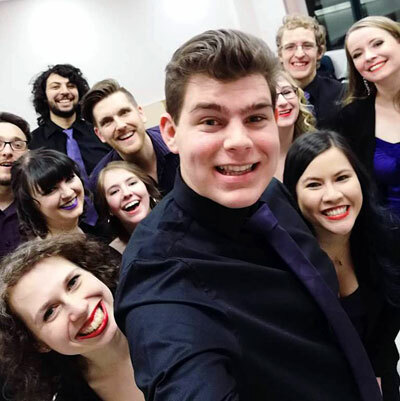 FORM is one of three vocal ensembles in T.I.M.E – Today’s Innovative Music Edmonton. Formed in April 2002, the mandate of T.I.M.E. is to provide the highest level of musical training in contemporary vocal music for small ensembles. FORM performs traditional and current vocal jazz repertoire, as well as a cappella music of all sorts. Over the years FORM has had the opportunity work with many great artists and they are pleased to be featured at the Canadian Rocky Mountain Music Festival again this year.